This project is a part of a large upgrade to the Currie Reservoir in southwest Calgary, Alberta. 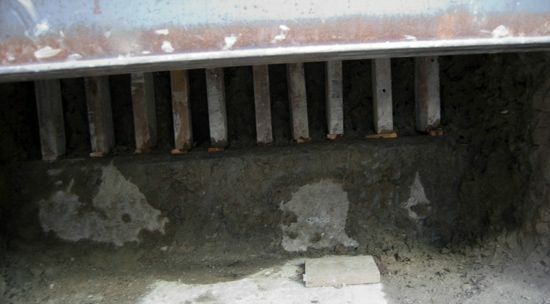 The project included the installation of a caisson wall as well as horizontal shoring and underpinning. 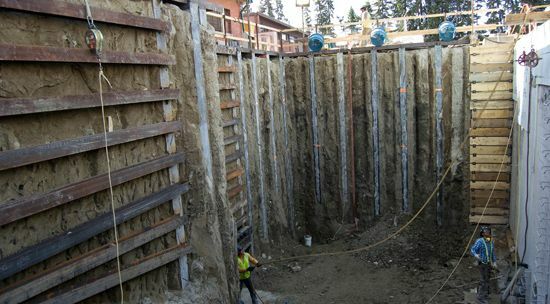 The purpose of the installation of the caisson wall was to provide support for the existing pump-house structure as the excavation was taking place between the pump-house and underground water tank. The retaining wall was designed by J.R. Spronken & Associates Ltd. as a Cantilever Secant Pile Wall with a maximum excavation depth of 8.0m below grade. 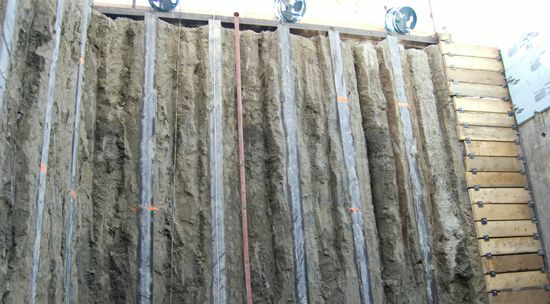 The length of the shoring wall is approximately 48 linear meters with total exposed surface area of about 370 square meters. The pile sizes used include 760mm soldier piles and 610mm filler piles. The overall scope of the work consisted of drilling 28 soldier piles and 30 filler piles. 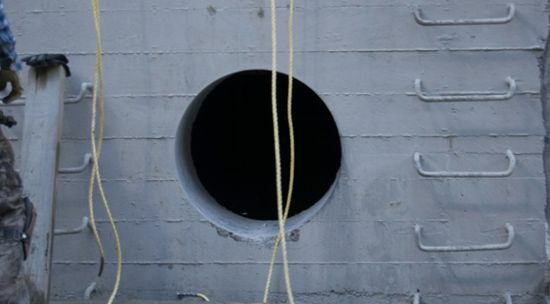 The client also approached HCM with the request to provide horizontal shoring/underpinning at the bottom of the excavation in order to provide a safe working platform for the connection of a 900mm diameter pipe between the pump-house and water tank. HCM completed this task by pushing a series of H-piles horizontally, using a hydraulic jack which was set-up on a specially designed steel frame system attached to the caisson wall. HCM Contractors completed this project ahead of schedule and to the complete satisfaction of both the client and the engineer.